Everyone wants straight, healthy teeth and a confident smile that they’re proud to share with the world. Unfortunately, not all of us are lucky enough to have perfectly straight teeth, and metal braces don’t fit everyone’s lifestyle. If you are one of the millions of teens and adults who longs for a more balanced smile without metal brackets and wires, The Dentists at Orenco Station want to help. Our Hillsboro, OR dental office happily offers an alternative to traditional orthodontics: ClearCorrect clear braces. One of the most obvious benefits of ClearCorrect clear braces is their aesthetic value. For image-conscious adolescents and sophisticated professionals, the thought of wearing conspicuous metal braces just isn’t appealing. With clear plastic aligners, no one has to know that you are undergoing orthodontic treatment except for you and your dentist. In addition to their cosmetic advantages, clear braces are vastly more comfortable than traditional braces. You won’t have to worry about a broken wire or bracket poking your lip or cheek lining. Instead, enjoy the smooth contours of your custom aligners. Because your ClearCorrect clear braces are easy to remove, there are no dietary restrictions associated with treatment. Continue to enjoy your favorite foods throughout the duration of your treatment. Your teeth are also much easier to clean with clear aligners than they are with metal braces. 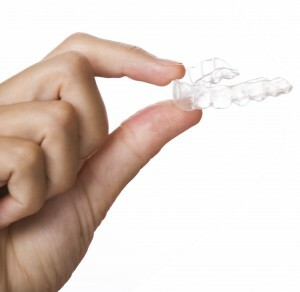 Simply brush and floss as you normally would and replace your aligners when you’re finished. Am I Candidate for Clear Braces? A consultation with our experienced, highly trained team will determine your candidacy for ClearCorrect clear braces and any of our other cosmetic dentistry services. Simply give us a call today to schedule your visit with Drs. Brandon and Malinda Kearbey, your trusted Dentists at Orenco Station in Hillsboro, OR. We genuinely look forward to helping you achieve the gorgeous, healthier smile you’ve always wanted without any metal brackets or wires. Our state-of-the-art dental practice warmly welcomes teens and adults to explore their options with ClearCorrect invisible braces. We proudly serve families from throughout Hillsboro and the surrounding areas, including Forest Grove, Beaverton, Cornelius, Rock Creek, and beyond. Do you have tooth discoloration concerns? If so, you’re not alone. Teeth whitening is actually the most common cosmetic dentistry procedure. 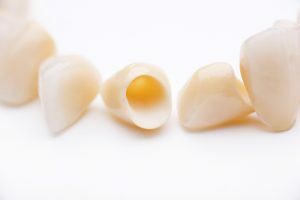 Our teeth may start out bright and white, but over the years our natural enamel can wear down, becoming more transparent and permitting the naturally yellow dentin of the inner tooth to show through. Our teeth can also stain from commonly consumed beverages like coffee, tea, soda, and wine. If you want to tackle your tooth discoloration for good, schedule a teeth whitening appointment with Drs. Brandon and Malinda Kearbey today. The Dentists at Orenco Station are highly skilled cosmetic dentistry specialists, now proudly restoring smiles daily throughout Hillsboro, OR, Forest Grove, Beaverton, Cornelius, Rock Creek, and the surrounding communities. There are many over-the-counter teeth whitening products available today, but they all have trouble fulfilling their teeth whitening promises. Teeth whitening toothpastes don’t contain the bleaching agents necessary to whiten your teeth. Other products, like whitening gels, strips, and rinses offer only diluted bleaching power. As such, it can take several weeks of daily use before you seen any significant improvement in the color of your teeth. For a truly reliable teeth whitening solution, we offer professional in-office whitening treatment that can be completed in under an hour. You can walk in on your lunch break, and walk out with a dazzling new smile. We also offer a convenient take home whitening solution with the KöR Whitening Deep Bleaching System. The KöR Whitening Deep Bleaching System is unique in that it increases your teeth’s ability to absorb oxygen, and this oxygen actually dissolves stains. Take home teeth whitening comes with fully customized bleaching trays and professional strength whitening gel which can effortlessly whiten your teeth while you sleep, and typically takes about two weeks to complete. Whether you prefer our chairside teeth whitening option, or our convenient take home solution, you will receive the whitening power you expect and deserve. Finally fulfill your bright smile wishes and schedule a teeth whitening appointment with Drs. Brandon and Malinda Kearbey today. The Dentists at Orenco Station are trusted cosmetic dentistry experts, now delivering quality care daily throughout Hillsboro, OR, Forest Grove, Beaverton, Cornelius, Rock Creek, and the neighboring areas. You may look at pictures of people in magazines or newspapers, and find yourself being envious of their perfect smiles. Feeling unhappy with your smile can cause a lot of self doubt in your overall appearance, and, surprisingly, can negatively affect the way you interact with the people around you. Though you may feel as though there is nothing you can do in order to accomplish your dream smile, there are many cosmetic dental procedures that are able to give you the amazing results you want! Dr. Brandon Kearbey and Dr. Malinda Kearbey are able to deliver amazing smile results to their patients every day using porcelain veneers at their Hillsboro, OR dental office. Porcelain veneers are able to yield amazing results because they are able to completely revolutionize your smile in a relatively short amount of time. Porcelain veneers are able to cover many flaws within one’s smile, including gaps, misalignments, cracks, chips, stains, and more! Being able to mask years of wear and tear on your smile, they are a wonderful option for those wanting to give themselves a completely new look! The process begins with a consultation with one of our doctors. Having to evaluate the current condition of your smile, they will be able to tell you whether or not porcelain veneers are the right option for you. You will also be able to use that time to bring up any questions or concerns you may have about the procedure, as we want you to be as informed as possible throughout the entire process. 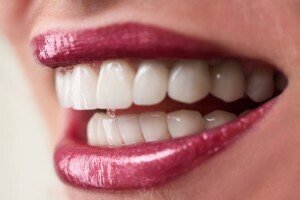 We will make impressions of your smile, and send them to a dental lab to have your veneers custom made. As your veneers are being made, we will keep in mind your wants and needs for your new smile, as well as your facial aesthetic. When your veneers are ready, our doctors will place them and make them permanent with dental resin cement. At the end of the procedure, you are left with an entirely new smile you cannot wait to show off! If you would like the help of Drs. Kearbey with porcelain veneers, contact our office today! Call The Dentists at Orenco Station if you’re ready to schedule your next appointment with Drs. Brandon and Malinda Kearbey. They are happy to care for patients from Forest Grove, Beaverton, Cornelius, Rock Creek, and beyond. Celebrate Summer with Teeth Whitening! Feeling confident in your smile is one of the best feelings a person can have. Many people consider a smile a first impression, and when you are completely happy in the way you present yourself to people, it can induce a very satisfying, secure feeling. However, when you are not happy with your smile, it can definitely have the opposite effects. One reason why someone may be unhappy with their smile is because of the lack of shine! Have a beautiful, white smile is something that many people want and may think is too difficult to accomplish. Dr. Malinda Kearbey and Dr. Brandon Kearbey are able to give you the beautiful, white smile you have always wanted using teeth whitening at their Hillsboro, OR dental office! There are many things that can affect the luminosity of your smile, such as genetics, certain medications, alcohol use, foods and beverages. The way we are able to help you achieve the shiny smile you want is by offering at-home teeth whitening and in-office teeth whitening using the Kör Whitening Deep Bleaching System. With in-office whitening, you get your bright results in about an hour, and go on with the rest of your day! Simple and convenient! The at-home whitening is for patients that would prefer a more gradual change in their smile. We will create bleaching trays that are made to fit your mouth and your mouth only, and we will also supply you with the whitening gel. Simply fill the trays with the gel and wear them as you sleep. Overnight, the gel will pulverize stains sitting on your smile, and every day your teeth will get whiter and whiter. After about two weeks, you will see the full results! If you are curious as to how Drs. 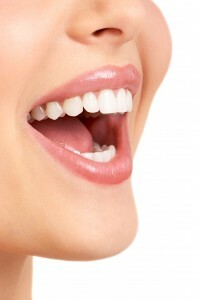 Kearbey are able to whiten your smile, contact our Hillsboro, OR dental office today, and we would love to help! Comments Off on Celebrate Summer with Teeth Whitening! Every patient wants to have a smile they feel confident about. Unfortunately, not everyone is born with a smile that’s naturally straight or white. That’s why Dr. Brandon Kearbey and Dr. Malinda Kearbey of The Dentists at Orenco Station offer porcelain veneers. 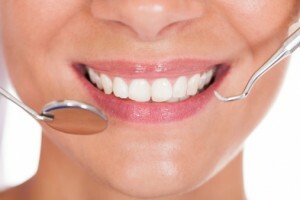 This cosmetic dentistry service is among the most popular offered today. With a few thin pieces of porcelain, the team at The Dentists of Orenco Station can help you transform a stained, misaligned, chipped, or cracked smile into one that looks naturally dazzling. What’s more, the entire procedure can be completed in just two visits to our Hillsboro dental office. During the first of your two porcelain veneers visits, your doctor will take molds of your smile. We’ll also talk to you about how you want your smile to look when we’re all done. Then, our lab technicians will take the information we gather during that first appointment and use it to make customized veneers that will match the shade and shape of your natural smile. On your second appointment, we’ll reveal your finished veneers and affix them to the front of your smile. Then, with your transformed smile in place, you can go back to your normal schedule feeling more confident than maybe you ever have. Call The Dentists at Orenco Station to ask us a question about porcelain veneers or schedule a consultation appointment. We’re happy to create beautiful smiles for patients of Forest Grove, Beaverton, Cornelius, Rock Creek, and beyond. Traditional braces are just one treatment option for patients with misaligned teeth. At The Dentists at Orenco Station, Dr. Brandon Kearbey and Dr. Malinda Kearbey offer ClearCorrect, a special cosmetic braces option that gives adults patients the chance to improve the appearance of their smile without drawing attention to their treatment. Instead of using metal brackets and wires, ClearCorrect helps you achieve your goal with a set of clear, custom-made aligners. 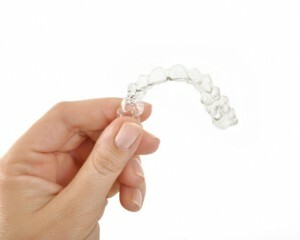 As you go through your treatment, you’ll wear each aligner for about two weeks. With each one, your teeth will be brought closer and closer to their ideal position. But outside of being clear and not using brackets or wires, there’s another benefit of straightening your smile with ClearCorrect—your aligners are removable. What that means is that you can take them out for meals, but also for brushing and flossing. Because of this, you can enjoy your favorite foods and still brush and floss as thoroughly as you normally would. Brackets and wires can get in the way of caring for your smile, leading to an increased risk of gum disease and tooth decay, which would mean spending more time in the dental chair later on. ClearCorrect lets you eat what you enjoy, care for your smile normally, and instead of coming in to have your braces tightened, we’ll only need to see you every six to eight weeks to check your progress. Do you have questions about ClearCorrect? Dr. Brandon Kearbey and Dr. Malinda Kearbey would be happy to answer them. Call The Dentists at Orenco Station today to reserve your consultation. We provide general, cosmetic, and restorative to patients from Hillsboro, Forrest Grove, Beaverton, Cornelius, and Rock Creek.